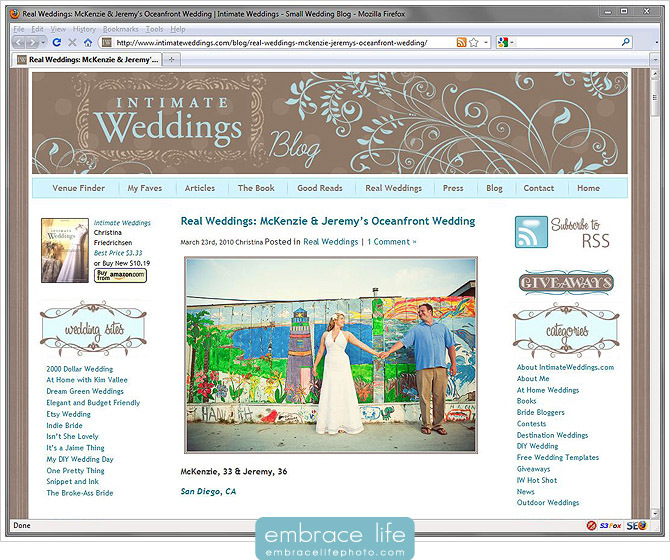 We’re excited to announce that the wedding we *just* posted, McKenzie and Jeremy’s San Diego Oceanfront Wedding, is now featured by IntimateWeddings.com. Christina, is doing great things to help couples take “the aisle less traveled”. Check it out!